Let it be stonefruit season all year round! 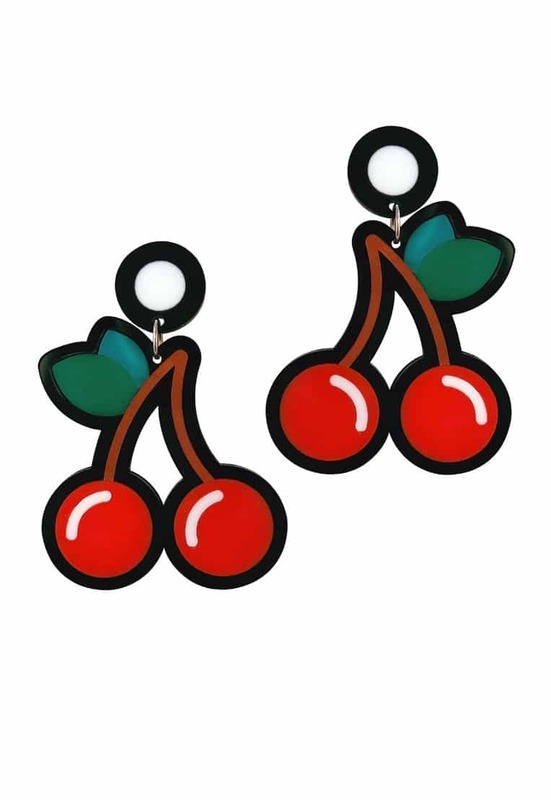 These cherry Doodads are classically adorable. They measure approximately 7.5cm high by 6.5cm wide plus stud bit and are a medium weight. They are made with our trademark gold mirror backing and B&W top bits.